" new machine after about 10 years -- very quiet, easy to set, quite small tabletop profile -- quite pleased so far "
Humidifier Included: Please note that the price listed includes the 60 Series heated humidifier and heated tube. The PR System One REMStar 60 Series BiPAP® Auto with Bluetooth delivers two distinct pressures that are automatically adjusted during therapy to provide a separate pressure at inhalation and exhalation. Pair this Bluetooth-capable BiPAP® machine with the SleepMapper app from Philips Respironics to track the progress of sleep therapy. The included integrated humidifier is added to the machine to warm therapy air to help with dryness or congestion. The PR System One REMStar 60 Series BiPAP® Auto with Bluetooth uses Bi-Flex pressure relief to add comfort in-between inhalation and exhalation pressure variations. The Heated Tube Humidifier is intended to increase the benefits of the treatment by soothing the airway and reducing rainout. Therapy effectiveness can be reviewed by pairing the Bluetooth wireless technology to the SleepMapper app on a compatible iOS or Android device (not included). 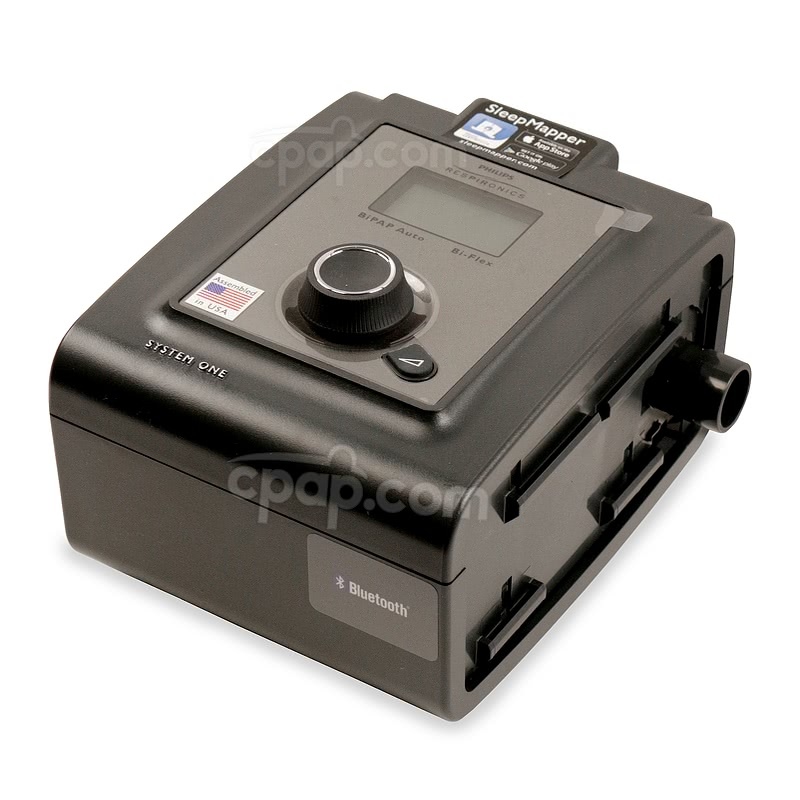 This 60 Series BiPAP® Auto machine uses Bluetooth technology to connect to the Philips Respironics SleepMapper app. Download the app onto a smartphone or tablet (not included) to build a personal account. Please Note: The SleepMapper app is compatible with Apple's iOS 6 or newer and an Android 2.2 or newer. Once installed, the app will pair with the machine each night to provide results the next morning. The results may be used to review compliance between a doctor and patient. 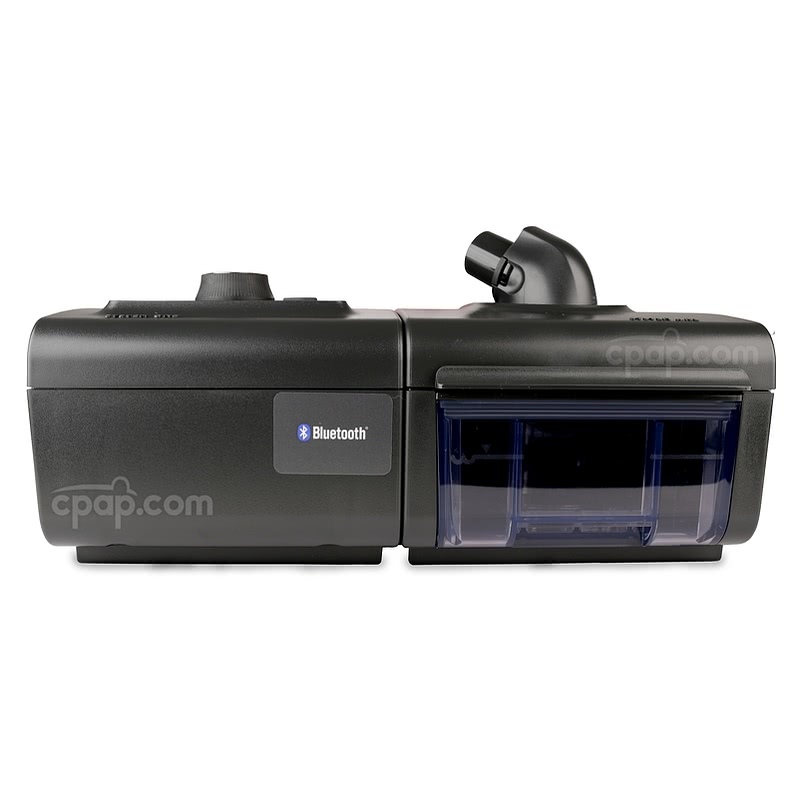 The Bluetooth 60 Series BiPAP® Auto machine connects to the PR System One 60 Series Heated Tube Humidifier with Heated Tube to pull moisture from the water chamber into the therapy air. The heated tube included with the humidifier connects to the humidifier port to help sustain the warm air as it travels through the hose. Heating the air may reduce rainout in the mask, as well as provide comfort for those suffering from dryness. System One Dry Box was incorporated into the design of the humidifier to help prevent water damage. The air outlet port is located on the top center section of the chamber to minimize water displacement. In the instance that water may escape from the water chamber, it will be trapped by the Dry Box before entering the machine. Bi-Flex is a pressure relief comfort feature used to create a more natural breathing pattern during CPAP therapy. The PR System One BiPAP® Auto with Bluetooth and Flex Technology work together to provide relief during three points in the breathing cycle. Pressure is reduced by .5 increments during the transition from exhalation to inhalation, inhalation to exhalation, and during exhalation. The Bi-Flex setting can be adjusted up to 1.5 cm H2O for maximum comfort. Philips Respironics uses a patented algorithm to monitor breathing patterns in order to respond to abnormal pressure changes. The Auto-Trak system measures variable triggers and cycle thresholds to automatically adjust the pressure and compensate for leakage. The System One 60 Series BiPAP® Auto with Bluetooth is designed to act proactively by identifying aspects of the breathing cycle. 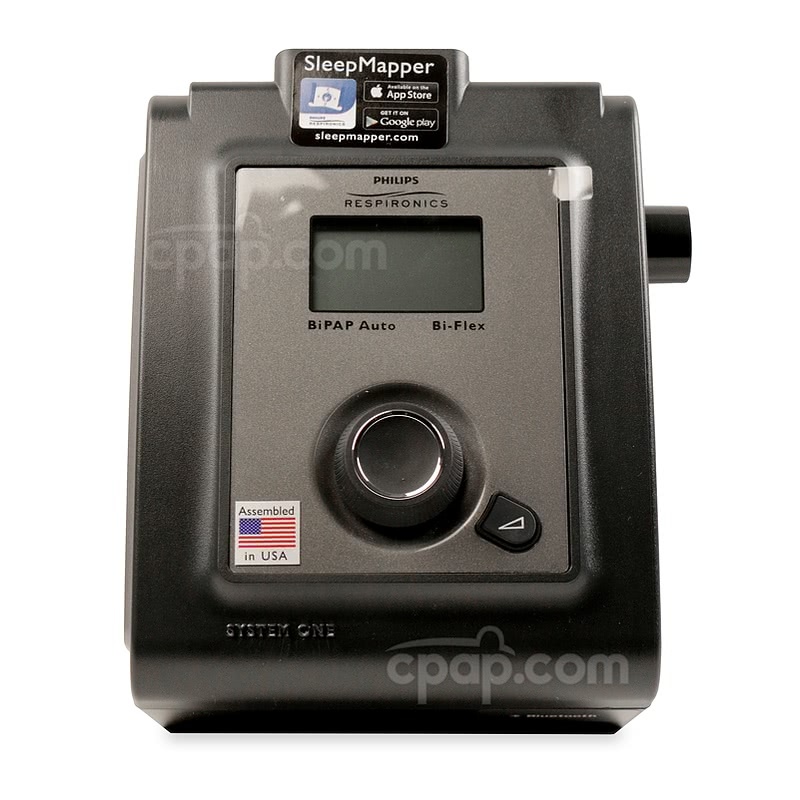 In addition to Auto-Trak Sensitivity and Flex Technology, the BiPAP® is designed to detect events corresponding to vibratory snoring, clear airway apnea, obstructed airway apnea, periodic breathing, Respiratory Effort-Related Arousals (RERA), hypopneas, leaks, and flow limitations. This machine detects these events, causing the REMstar Auto algorithm to respond by automatically adjusting pressure levels to clear the apnea. Within a few seconds of recorded flow reduction, the PR BiPAP® Auto pulses a series of pressures to determine if the apnea has been cleared. Proactive Performance: Proactive performance recognizes and controls early symptoms of flow limitation, which can lead to an actual obstruction or apnea. The Auto algorithm uses two airflow measurements to prevent pressures from becoming too high. Leak Management: The BiPAP® Auto with Bluetooth will monitor mask leaks and compare results against an expected leak rate. Pressure is adjusted automatically as needed to help maintain therapy pressure to the user, including the ability to reduce pressure to help re-establish a mask seal. Obstructive Sleep Apnea: OSA is defined as events that reduce 80% of airflow for a minimum of 10 seconds. Hypopnea: A hypopnea is an event that reduces 40% of airflow for a minimum of 10 seconds. Flow Limitation: Flow limitation is measured through four different baselines of the breathing waveform: Roundness, Flatness, Peak, and Shape. Vibratory Snoring: Snoring can sometimes imitate a hypopnea event. Advanced detection allows the PR BiPAP® Auto with Bluetooth to measure vibrations and partial airway blockage. RERAs: Respiratory Effort-Related Arousals differ from a hypopnea or snoring event in that a RERA shows increasing respiratory effort with each breath, culminating in a shift in brain wave activity and not necessarily a result of obstruction. Periodic breathing conditions such as Cheyne-Stokes respiration and central apneas are distinguishable from obstructed apnea or snoring events. SmartRamp: SmartRamp helps manage apnea events while users attempt to fall asleep. This System One 60 Series device can react to an event as the Ramp is progressing. Philips Respironics developed System One Resistance Control, which is a numbering system designed to help their machines recognize the CPAP mask. Please Note: The feature is only available with a Respironics mask as they are the only CPAP mask with a resistance control number. Resistance Control is intended to associate the machine with the mask to create a compatible system which corresponds to the specific mask type. The display screen is designed to make sleep data available. Use the screen to view the Apnea/Hypopnea Index, the Leak Rate, and the average pressure readings taken over a 7 days and 30 days. Data is stored on the machine as well as on a SD memory card. The user manual included with this machine can be viewed and downloaded here: BiPAP® Auto Bi-Flex Machine. Bluetooth technology allows for a wireless transfer of data from the machine to the designated SleepMapper app to deliver sleep results to a handheld device. This Philips Respironics BiPAP® Auto has Bluetooth capabilities which may be enabled. The default setting for the Bluetooth wireless connection is set to 'Off' mode. Please Note: A smartphone and tablet are not included with the purchase of the 60 Series Pro with Bluetooth. 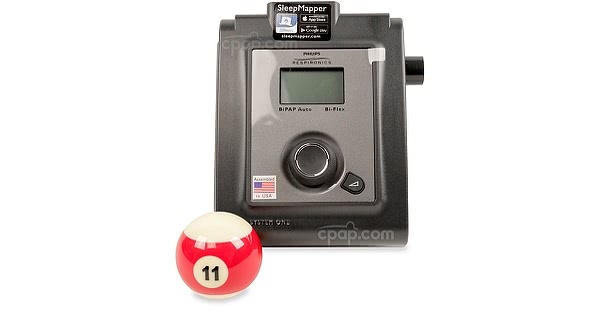 SleepMapper will only work with Philips Respironics machines. Install the SleepMapper App on your phone or tablet for free. Visit the iTunes store or the Google Play website to download the SleepMapper app. 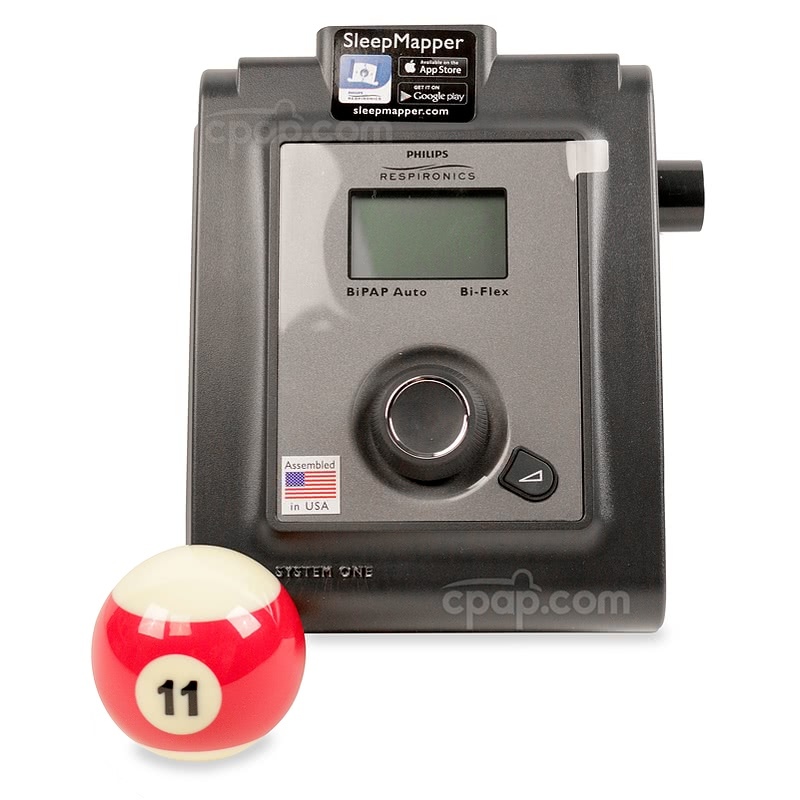 The machine SD card can be used in conjunction with SleepMapper. When searching for the Respironics' SleepMapper app on an Apple or Android device, the name SleepMapper will no longer appear in iTunes or Google Play. Instead, the web based app displays the name DreamMapper, which is the newer version of the app. Please Note: Though the name has changed, the information provided remains the same. DreamMapper is still compatible with all 60 series machines which use the bluetooth feature. System One 60 Series Heated Tube Humidifier with Heated Tube can be used ONLY with PR System One REMStar 60 Series machines. PR System One Heated Humidifiers (those that do not include the words "60 Series" in the name) cannot be used with PR System One 60 Series Machines. The 60 Series Heated Humidifier CANNOT be used with any other machines made by Philips Respironics. This includes other versions of the PR System, One REMStar line of machines. The 60 Series Heated Humidifier is only compatible with PR System One REMStar 60 Series machines. PLEASE NOTE: The manufacturer does NOT include the side cover panel when a 60 Series machine and heated humidifier are purchased together as a set. 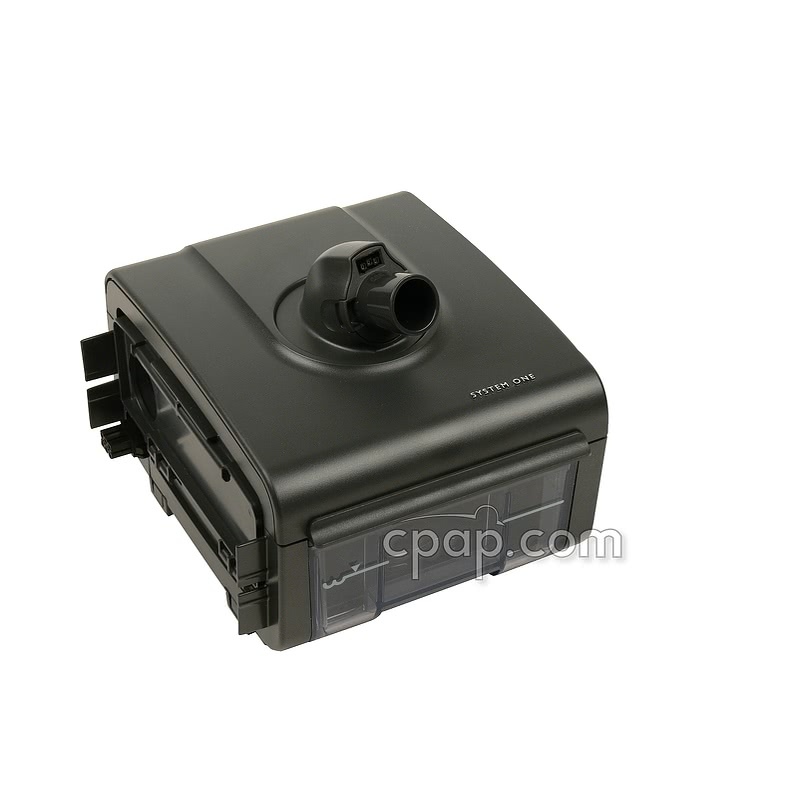 This part may be purchased separately: "https:="" www.cpap.com="" productpage="" pr-system-one-60-series-side-panel"="">Side Panel for PR System One 60 Series CPAP Machines. This purchase includes an 80 Watt Power Supply and power cord. The DreamStation 80 Watt Power Supply is the newer version and is compatible with 60 Series machines. When using the 60 Series BiPAP® Auto machine alone or with a standard (non-heated tube) humidifier, the External 60 Watt Power Supply for PR System One REMstar 60 Series Machines can be used to power the machine. The power supply and cord are found in a pocket behind the black flap on the interior wall of the travel bag. 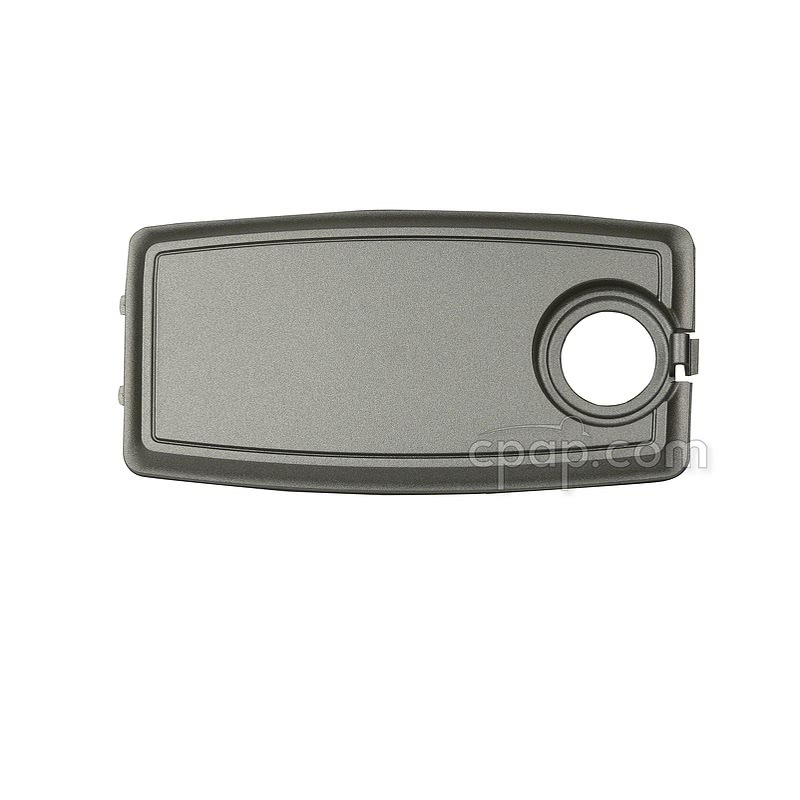 Pull the fabric tab to release the fastener and access the equipment. Version Note: To determine the version of the software installed on a PR System One REMStar 60 machine, unplug the machine and plug it back into an outlet. The version is displayed on the screen when the unit is first plugged into an outlet. The humidification settings are displayed only when a PR System One Heated Humidifier is attached to the machine. The Classic mode of humidification allows the CPAP user to control the heat setting on the humidifier. The user will select "Classic" mode settings C1, C2, C3, C4, or C5. The "C" in front of the humidification setting indicates "Classic." C1 is the lowest level of humidification and C5 is the highest level of humidification. Please Note: If the PR System One Heated Tube for 60 Series Machines is attached to the humidifier the Classic mode humidification will not be offered, only System One Humidification Mode. To use the Classic mode of humidification attach a non-heated tube to the humidifier. To turn the heated humidifier off, set the humidifier to zero "0". The air from the machine will pass over the water in the chamber acting as a passover Humidifier. Please Note: The humidifier menu will only show when the humidifier is attached to the machine. First, use the wheel on the machine to select the 'Setup' menu. Then, scroll through the menu to locate SYSTEM ONE Humidification. Select 'On' to allow the machine to determine the level of humidification delivered throughout the system based on the 1-5 setting. When in the SYSTEM ONE Humidification mode there is no letter indicator next to the number. To control heat manually, select the 'Off' option. Then, set the humidification level by adjusting the number to the right of 'Humidifier,' which is found under SYSTEM ONE Humidification. Select a number within the range of 1 to 5. The letter "C" found in front of the humidification number represents the word 'Classic'. The lowest heat is recorded as C1, while C5 is the highest heat level. Please Note: To power the humidifier, the Respironics' 80 Watt power supply is included with the purchase of a 60 Series Pro with Bluetooth and Heated Tube Humidifier. If the user chooses to use the CPAP machine without the humidifier and heated tube, the 60 Watt power supply may be used. The External 80 Watt Power Supply for PR System One REMstar 60 Series Machines is NOT compatible with other versions of PR System One machines. The connection peg that plugs into a PR System One REMStar 60 Series machine is a specific size and will fit only this machine. The external power supply for this machine has different specifications than the External Power Supply for PR System One REMstar CPAP and BiPAP® Machines used with other machines in the Philips Respironics lines. The Power Cord that plugs the external power supply into the wall outlet is the same for all System One Machines. The Shielded DC Cord for PR System One 60 Series Machines that is compatible with PR System One 60 Series Machines works ONLY with PR System One 60 Series Machines. 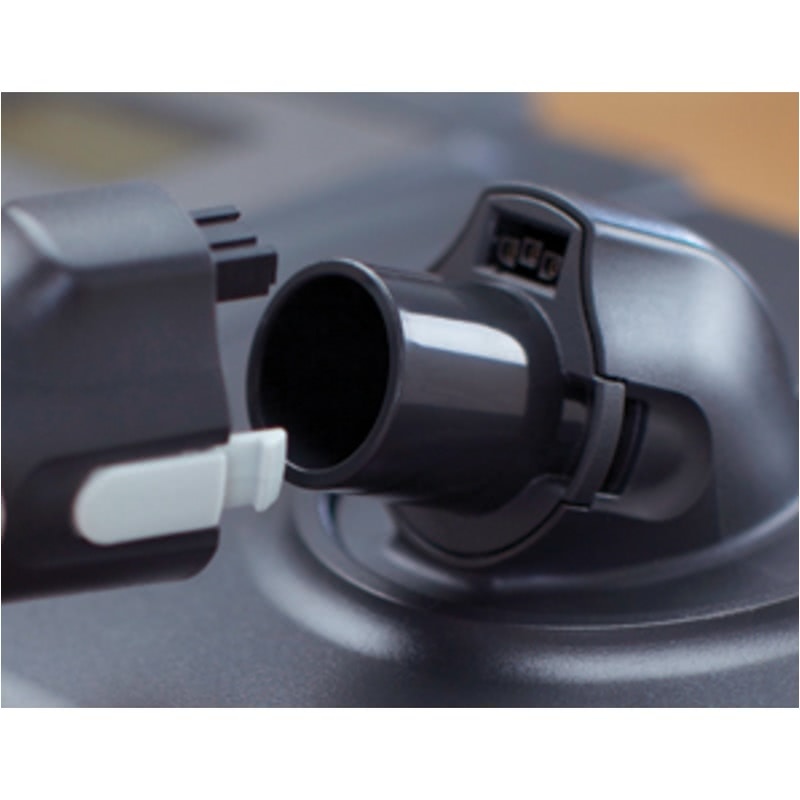 The 12 Volt DC Power Cord (connects CPAP to cigarette lighter socket) used with other PR System One machines IS NOT compatible with 60 Series Machines. The Heated Tube Humidifier includes the PR System One Heated Tube for 60 Series Machines. 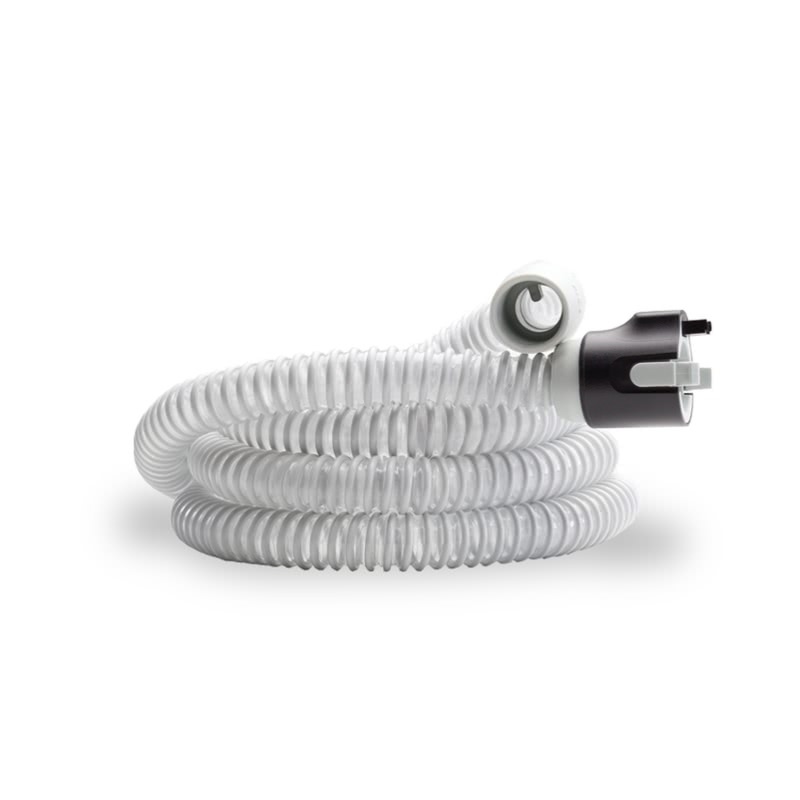 The heated hose connects to the electrical ports on the 60 Series Heated Humidifier to keep the air warm as it travels from the humidifier through the hose to the CPAP mask. Not using the Heated Humidifier? The heated tube can connect to the ports on the air outlet on the side of the machine. In this configuration, the hose will not create heat and will act as a standard hose. 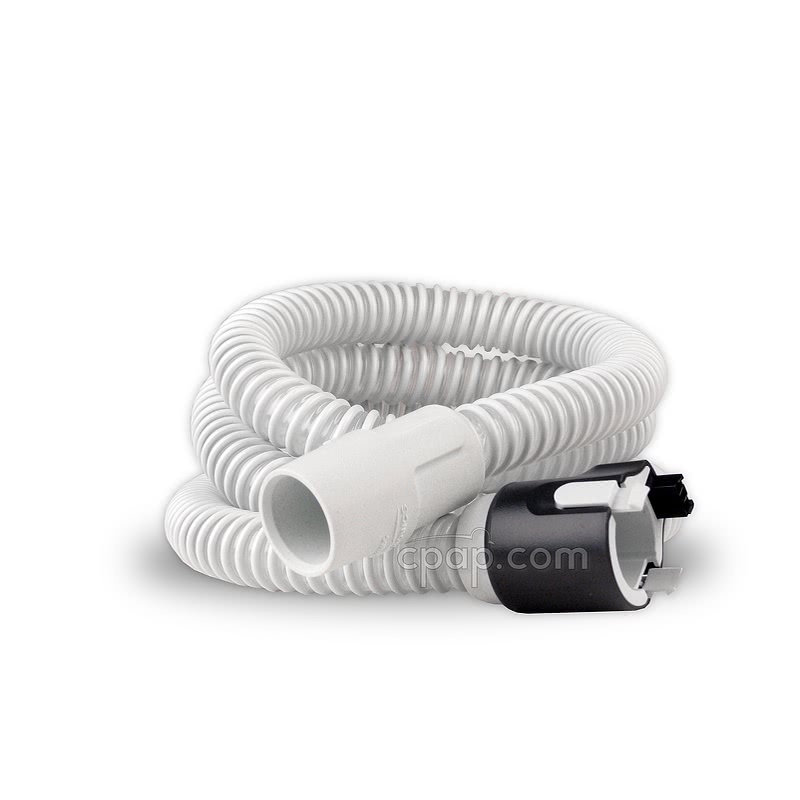 In addition to the 60 Series Heated Tube, a traditional CPAP hose can be used. Set the size of hose you will be using in the Set Up Menu under "Tubing Type". Select either 15 mm or 22 mm depending on the size tube being used. Color: The PR System One REMStar 60 Series Machines are charcoal gray with a metallic silver side and instrument panels. Other PR System One units are dark gray with an ivory colored side and instrument panels. Branding: The PR System One REMStar 60 Series Machines have the words "System One" in raised or embossed letters stamped in silver on both the machine and the humidifier. Other PR System One units do not have raised lettering. Instead the branding information is painted onto the unit. Machine and Humidifier Connections: The PR System One REMStar 60 Series Machines have a 6 pin connection between the machine and humidifier. Other PR System One Units have a 4 pin connection between the machine and humidifier. Also, PR System One REMStar 60 Series Machines have a mechanical connection between the machine and humidifier, whereas other PR System One Units have 2 tabs on the humidifier designed to fit into 2 slots on the machine. Model Number Reference: The label on the bottom of the machine lists the part number. For instance, the label on the bottom of the PR System One REMStar 60 Series Auto CPAP lists: "REMStar Auto"; "REF" of 560P; and Serial Number identified by "SN". The number 560 references the part number of the machine. The label on the bottom of other versions of System One machines lists: Machine name; "REF" that does not have the number "6" in the second position from the left; and Serial Number identified by "SN". 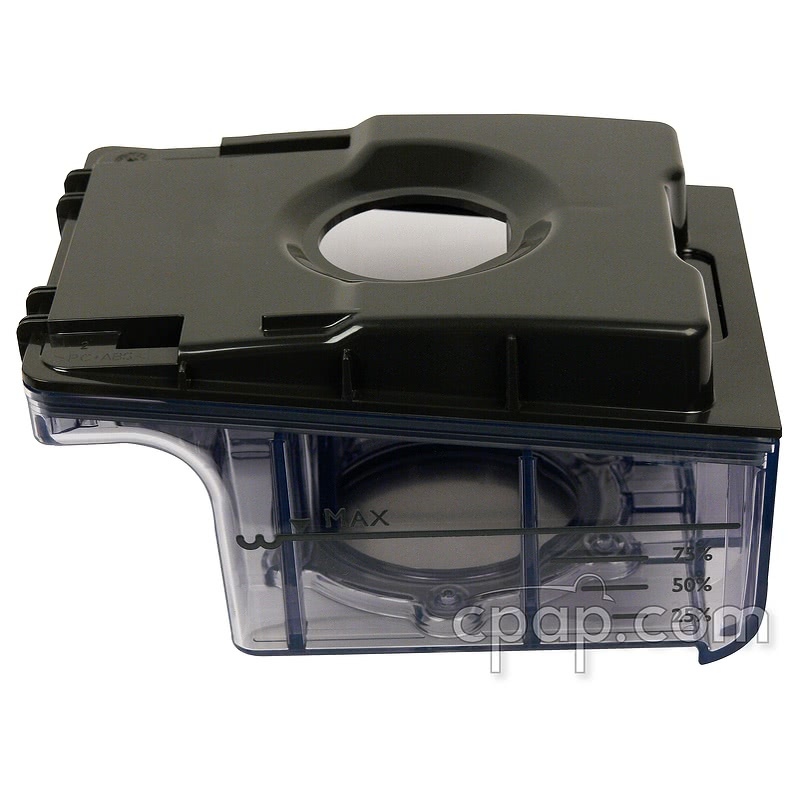 For example, the label on the bottom of a PR System One REMStar Auto CPAP Machine with A-Flex lists "REMStar Auto" and "REF" of 550P. The number 550 references the part number of the machine. Weighing in at only 1.7 pounds the Freedom Battery is a terrific option for travel. 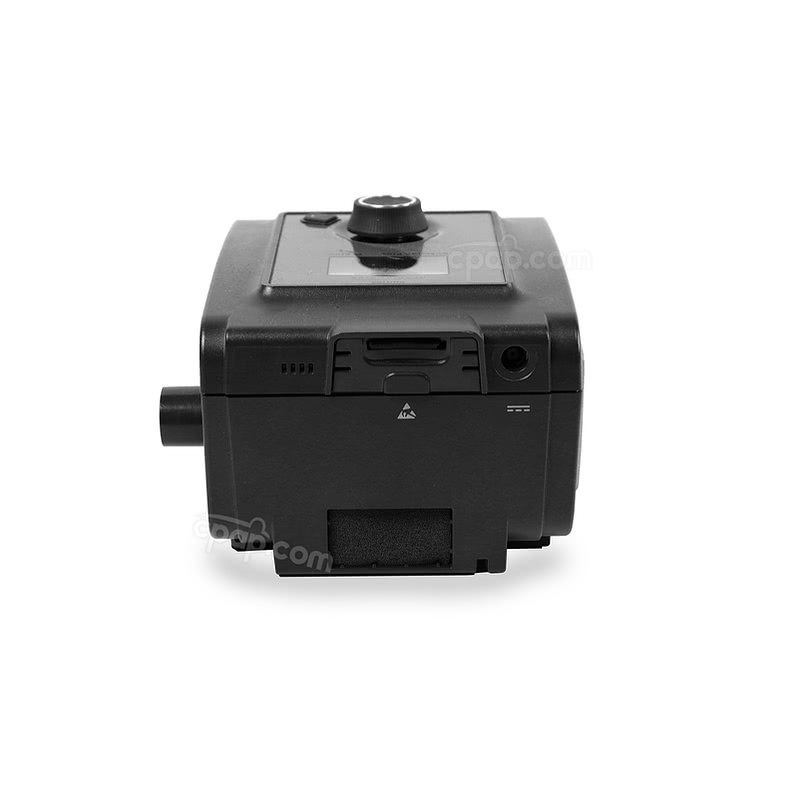 Plus, the Freedom comes with a DC cable and connector peg suitable for use with the PR System One 60 Series BiPAP® Auto, so no need to purchase a separate DC cable. This lithium ion battery meets UN Manual Test and Criteria requirements for travel. This portable battery pack is an external lead acid battery that is the ultimate in power, portability and convenience. 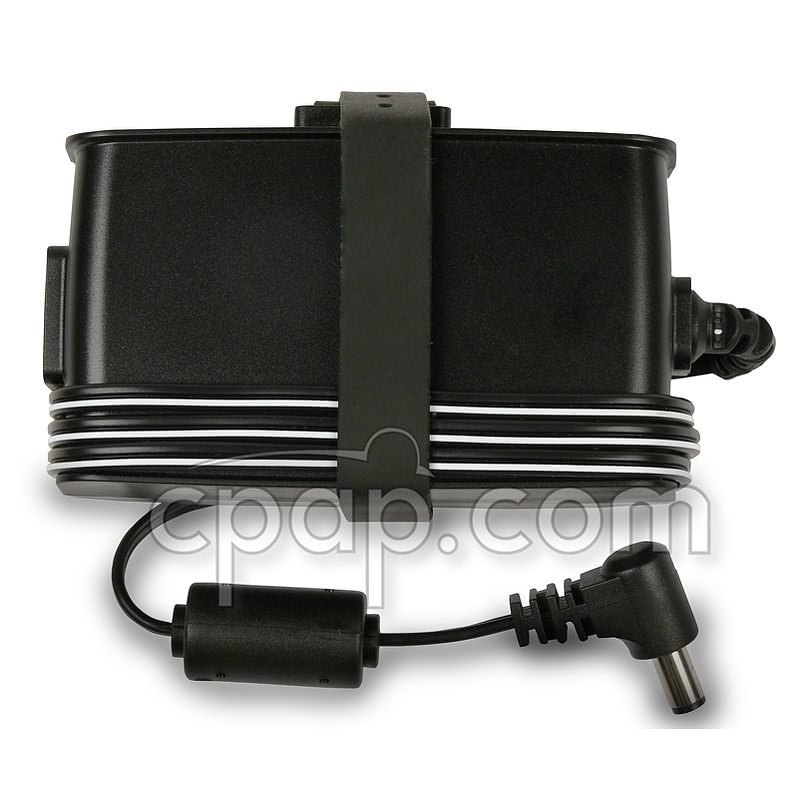 This battery kit comes with the Respironics battery and the Shielded DC Cord for PR System One 60 Series Machines. The Respironics Lithium Ion Travel Battery Kit is intended for use with 50 Series, 60 Series, and DreamStation machines. Uninterruptible Power Supply (UPS) mode is designed to help the battery kick in automatically if AC power fails. This mode ensures power is never lost to the CPAP machine, even after power from the outlet is disconnected. When AC power is available again, the battery will be bypassed, and AC will resume powering the machine. The battery weighs 2.25 lbs and is FAA approved for use on flights. 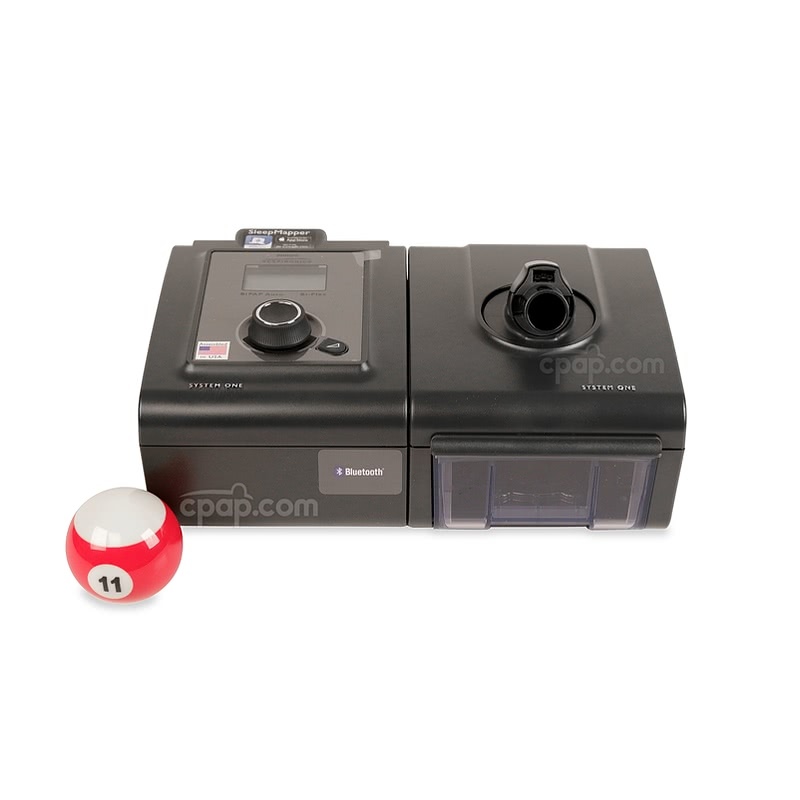 The kit includes a travel case, device cord, and 50 Series adapters used to connect the machine to the battery as well as connect the battery to the power supply for charging. This kit does not include a power supply as it is designed to operate from the machine's power supply. The manufacturer states the Respironics battery has a run time of 14 hours with a pressure of 10cm H20 or lower, excluding a heated tube humidifier.